The order is part of a package of deals signed during Mr Xi's visit to Europe. 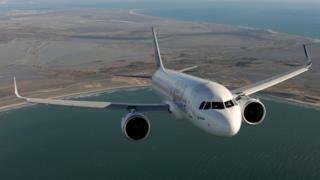 "We are honoured to support the growth of China's civil aviation with our leading aircraft families - single-aisle and wide-bodies," Airbus Commercial Aircraft President Guillaume Faury said in a statement. Mr Faury is due to become Airbus's new chief executive in April. "Our expanding footprint in China demonstrate our lasting confidence in the Chinese market and our long-term commitment to China and our partners." Mr Xi kicked off his European tour last week in Italy, where it became the first developed economy to sign up to China's global Belt and Road Initiative. But other European countries and the United States have expressed concern at China's growing influence.